These are just some of the tracks in their repertoire, scroll down to see a full list. "They created a lovely, jolly atmosphere." Great fun with loads of positive comments from guests. And genuinely positive comments not just being polite. They loved them! 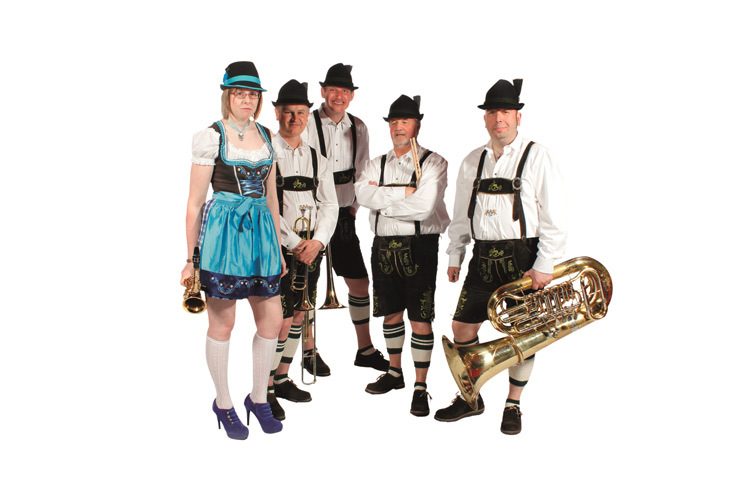 "We wanted a proper Oompah band that would get the whole room up on their chairs,..."
"Alive Network provided an easy to use website with plenty of choice of bands to ..."
"We just wanted to say a very big thank you to you and your guys for the brillian..."
"Bier Stein Oompah Band were superb! 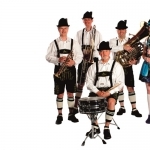 They got our Oktoberfest really going with g..."
band travels nationally and internationally for Octoberfest events and parties, product launches and beer festivals. 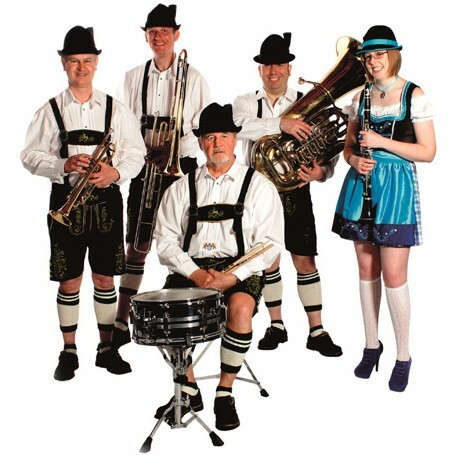 Bier Stein Oompah Band- A Bavarian Style "Oompah" Band for your Bavarian themed event or Beer festival. The band travels nationally and internationally for Octoberfest events and parties, product launches and beer festivals. 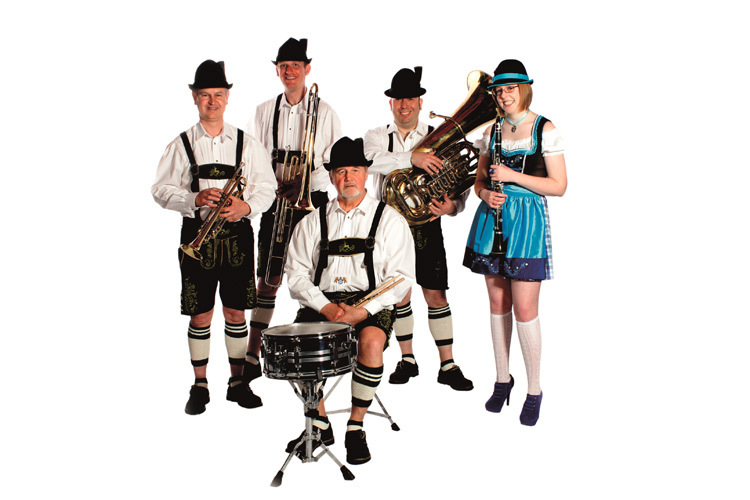 Dressed as a traditional Bavarian band, in Leiderhosen with waistcoats and of course the Tyrolean hats, the band can add that classic Bavarian soundtrack to any event performing the traditional polkas, marches and waltz’s from Germany and Austria. The Band can play as either a static band or as a strolling band being able to entertain your guests or clients in areas of the venue.  Music for your Octoberfest themed event where audience participation is a must! 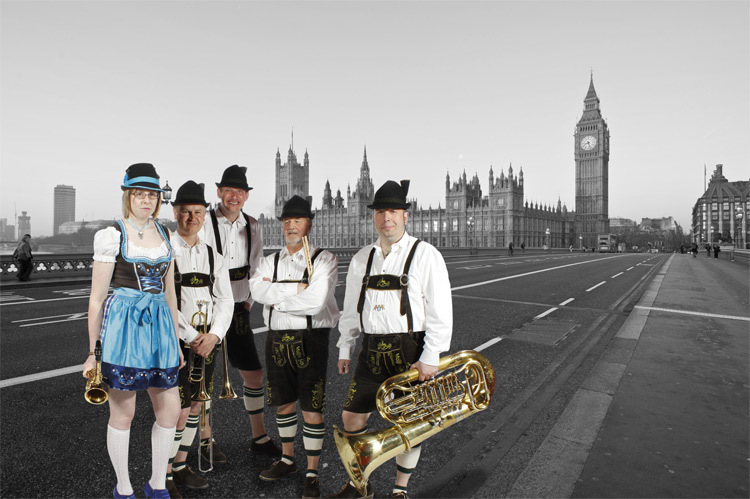 The band can also provide that extra "Oompah" to your Octoberfest event or Bavarian night with non-stop participation for the partygoers guided by our front man. 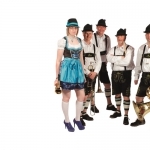 This Bavarian-styled band performs the traditional music as heard in the various festivals in Germany, and can perform all the music for dancing, swaying, clapping, singing and of course…..drinking! The night also includes light-hearted games and competitions for your guests and clients with prizes to be won.